We’ve listed a short description of our services below. Full details are available in our landlord pack and from our team so please do contact us for further information. Collection of the first rent payment and the deposit Our charge for this service is £360 incl VAT (£300 excl VAT) *If you only want the let only service and you do not want us to manage the property for you after we have signed the tenant up then we can remove the asbestos management survey and reduce the price to £300 incl VAT (£250 excl VAT). Our fully managed service offers you peace of mind as a landlord – we take care of all the day to day contact with your tenant, collect the rent, carry out regular property inspections and we’ll let you know if you need to do anything. Our fully managed service is our most popular service with most of our landlords choosing to let us manage their property for them. Our charge for this service is 14.4% incl VAT (12% excl VAT) of the rent collected. This is charged on a monthly basis to tie in with the rental payments to you. We’ll deduct our fee from your rental payments before we send it across to you so you don’t have to worry about payments to us. We also charge the fee on the rent collected so you don’t pay for our services if, in the rare occurrence, your tenant doesn’t pay their full rent for the month. If you still want to be involved with your tenant and property to some extent then you can choose our rent collection service. This service means that we will manage the rent account for you and deal with any queries relating the rent payable from the tenant and yourself. You’ll still deal with any day to enquiries from your tenant and any repair queries so if you still want to be involved in tenancy management then this may be the better service for you. We’ll send you the rent collected every month directly to your bank account and we’ll deduct our fee before we send it across to you. Our charge for this service is 12% incl VAT (10% excl VAT) of the rent collected. Unlike other agents, we don’t insist on your property being empty before we take it on. We are happy to take on tenanted properties if you decide that you want to reduce your involvement with your tenants. We will meet with you first to determine what level of service you require and we’ll let you know what information we’ll need from you in order to take over the management of the tenancy. We’ll also meet with your tenants to explain the process and agree a date with you for handover. In order for us to set up this tenancy management service we charge a one off fee of £360 incl VAT. After the agreed handover date we will charge 14.4% incl VAT of the rent collected each month for our fully managed service. We are the only agent in Conwy County who can offer local landlords the ‘leased service’ from Conwy County Borough Council. This service is perfect for landlords who want to take a step back from property management. Conwy County Borough Council will offer you guaranteed rent for up to 3 years if your property qualifies for this scheme. In return, you will allow them full use of your property and will remain responsible for landlord repairs during this time. Conwy County Borough Council will be responsible for any tenant repairs or damage caused to the property by the tenants. To find out if your property qualifies for this scheme and for further information on the rental amount you would be offered please contact us. We offer a 24 hour emergency repairs service which covers all of our fully managed properties. If anything was to happen to your property that required immediate attention you can rest assured that your tenants are able to ring us at any time of the day or night to report it. The out of hours calls are handled by our out of hours contact centre and all calls are answered in person. The agent at the other end of the phone will assess the situation and ensure that our out of hours team are passed the information they need in order to deal with the problem effectively. 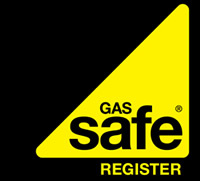 We have a range of trade operatives on call in order to cover any situation – gas engineers, electricians and joiners to look after your property if needed. We also have a member of staff on call who ensures that the well-being of tenants is maintained should the need arise to find them alternative accommodation for the night. The team are very experienced at deciding whether a repair is a true emergency before they send someone out to the property. If it is a genuine urgent repair, the relevant out of hours engineer will go to the property and ‘make safe’ until the next working day when the repair can be reported back to you as the landlord. You can then decide whether you want your own contractor to fix the issue or whether you would like us to do it on your behalf and either invoice you or deduct it from the rent collected for the property. Either way, we are always happy to assist your contractor or ours with regards access to the property and liaising with your tenant. The team receive a daily report from the out of hours team and they will contact you the next working day to update you if your property has had an out of hours call out during the night or over the weekend.